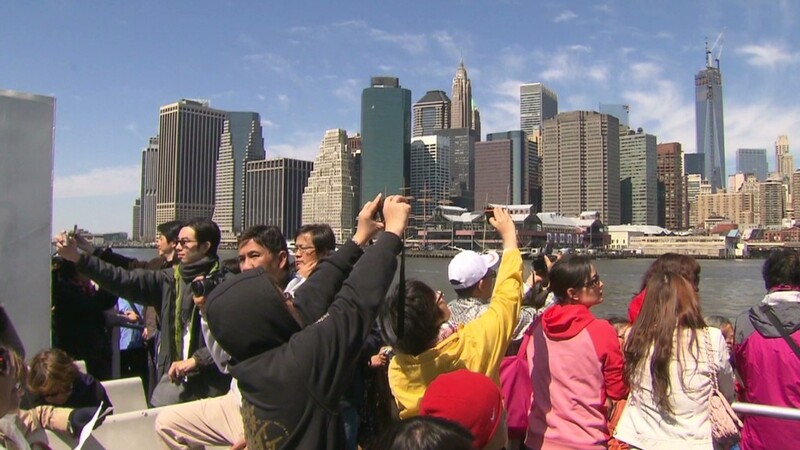 Chinese tourists have named the U.S. as a top vacation destination. Lines at Disneyland and Tiffany & Co. could be getting longer as more and more Chinese tourists name America as their top vacation destination. The number of Chinese visitors coming to the United States will more than triple by 2020, according to a new report from brokerage CLSA. The new wave will include a confident, more travel-savvy Chinese tourist that is willing to bridge out from traditional vacation spots like Hong Kong and Macau. More than 17% of experienced Chinese travelers ranked the U.S. as their top vacation choice if money was no object -- higher than any other destination. For first time travelers, the U.S. is the second most popular vacation spot. "It's all about bragging rights for Chinese tourists these days," said Aaron Fischer, an analyst at CLSA. Chinese travelers have built a global reputation as big spenders. Lines of shoppers from Mainland China are a regular sight outside luxury stores in Paris and Hong Kong, a trend that could spread. Shopping is at the top of the agenda for Chinese that visit the U.S., with 87% of visitors splashing some cash at retail outlets in 2012. 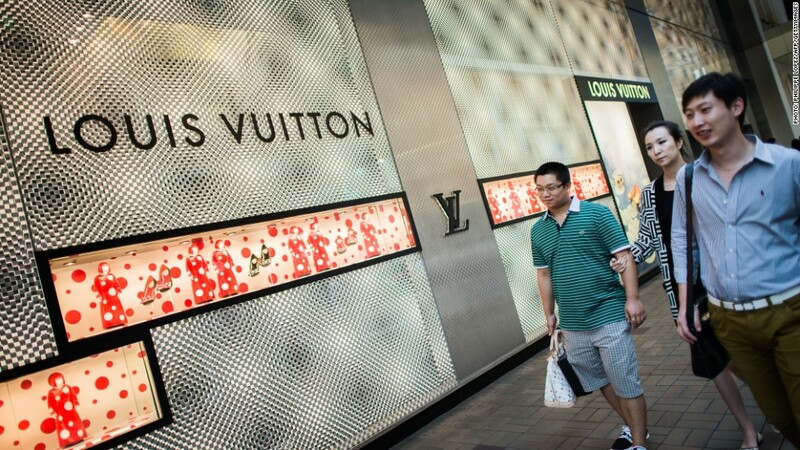 CLSA said the Chinese spend an average of $4,400 per trip on everything from high-end hotels to cosmetics, making them the second-biggest spenders after visitors from India. CLSA said that companies like Tiffany (TIF), Estee Lauder (EL) and Coach (COH) could benefit the most, as they have excellent brand recognition in China and offer cheaper prices in U.S. stores. In addition to shopping, the new wave of Chinese tourists have another set of priorities that will make Las Vegas casino owners drool. Mainland tourists are showing a greater interest in fine dining and gambling than others overseas visitors, and a growing appetite for concerts and shows, the CLSA report said. With Las Vegas still struggling in the wake of a regional housing bust, casinos there have begun pulling out the stops to attract Chinese gamblers, introducing special food menus and concerts with Chinese speaking pop stars. The Palazzo is even now hosting a show called "Panda!" that features the China National Acrobatic Troupe. Related story: Are U.S. companies ready for China's big spenders? Still, catering to a three-fold increase in the number of Chinese tourists is no easy task. The language barrier is one problem; CLSA called a series of high-end hotels in New York and found only two had Mandarin speakers on site. Chinese travelers have also developed a less than flattering reputation in some parts of world, thanks to a mix of cultural differences and, occasionally, bad behavior. In one high-profile case, an ancient Egyptian temple was vandalized by a young Chinese tourist. China's National Tourism Administration has attempted to address some of these problems, and last year published a series of guidelines directed at the country's travelers. Specific guidelines instructed tourists not to deface relics and to show courtesy and respect for other people's rights.